"Do you not like single mothers?" "Do you want to be my daughter's father?" Tuesday Night Comics Podcast – Attack on Titan by Scott Snyder and Gail Simone?!? And More From NYCC! NYCC 2015 Thursday Panels – Our Picks! 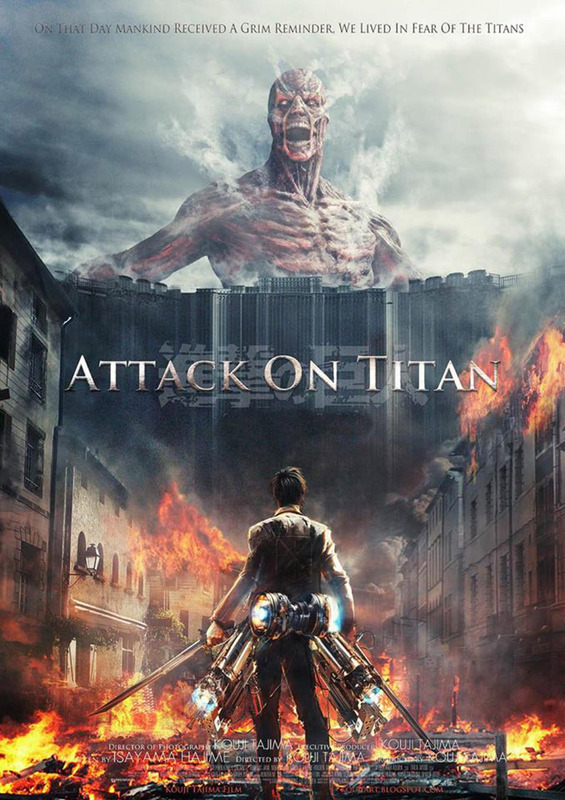 Attack on Titan is a mega-successful hit anime and manga which I have never watched or read. So when a friend asked who wanted to see the live action adaptation of the property, of course I said yes. 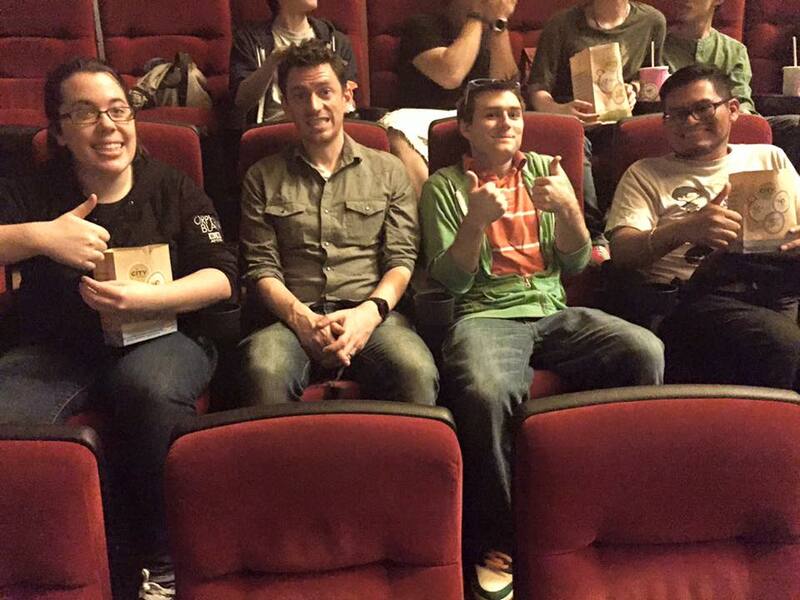 A group of about eight of us went to see Attack on Titan: Part One in the theater. Out of everyone, I was the one least familiar with the series. 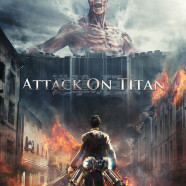 I have intended to dive into Attack on Titan for some time now, but just kept finding other books to read, movies to watch, and TV series to get lost in. Before the movie started, there was already a palpable feeling of dread in the audience, and with good reason. Early reviews had not been kind, and beloved characters had been dropped from the live action version. The names of these characters were meaningless to me. The most I had read and watched of Attack on Titan before this was flipping through a few pages of this year’s Free Comic Book Day offering and watching @ilikecomictoo’s video of the Attack on Titan-themed Escape the Room event that took place at the Staten Island Yankees game over the summer. But imagine if the Harry Potter movies had dropped Dumbledore. From talking to people at the theater, it was this big a change. In a way, I was lucky to not be familiar with the characters or story. Any changes, big or small, would be lost on me. That said, as I was watching the movie, I couldn’t tell if some of the not great bits were or weren’t just created for the movie. Judging the movie strictly on its own merits as a standalone film, it’s not very good…and that’s being generous. If I was giving it a letter grade, I’d have to go with a D+. It’s the kind of movie that you would find on the bottom shelf of your local video store when local video stores were a thing. It seems like the filmmakers blew the vast majority of their budget on the Colossal Titan. 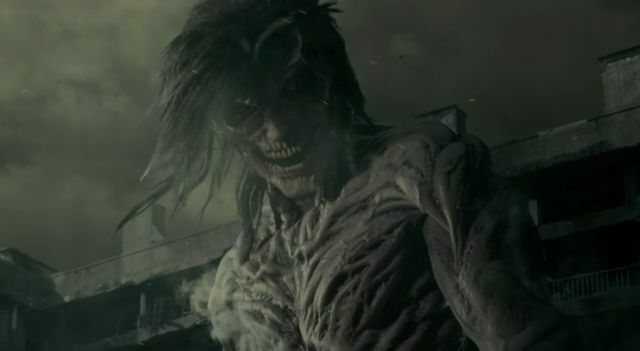 I will say the Colossal Titan did look cool. Unfortunately, this came at the expense of every other piece of special effects in the movie. Eren’s titan form looked like a rubber suit – because it was. My favorite parts of the movie were bits of dialog that were unintentionally funny. I don’t know if something was lost in translation, but the scene where that one girl asks Eren, “Do you want to be my daughter’s father?” followed by “Do you not like single mothers?” had me cracking up for days after seeing the movie. People who have gone through the trauma of sitting through this movie all the way to the end should use these quotes to identify each other out in the wild. Besides the cool looking Colossal Titan, those two golden nuggets of dialog, if the movie was good at anything, it was in making me become an immediate fan of Potato Girl. 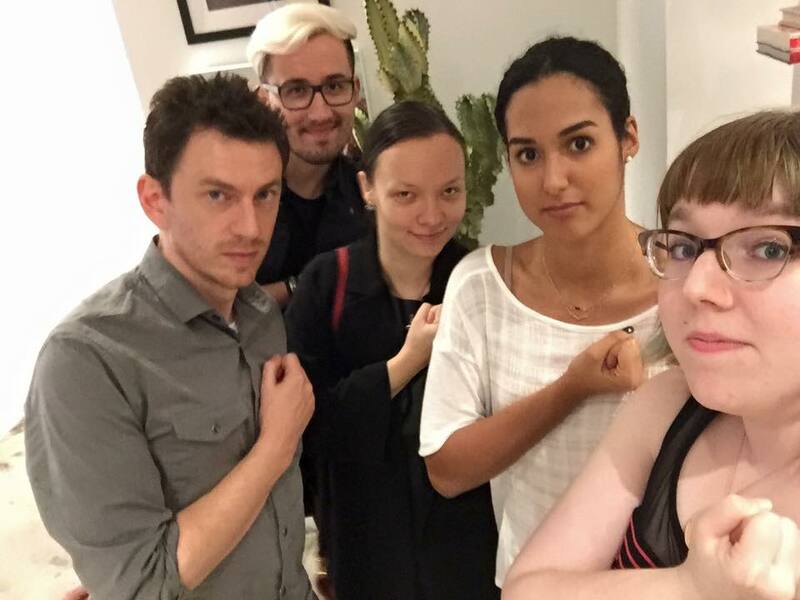 I am 100% on #TeamSasha. My big hope for Attack on Titan: Part Two is that the movie is all Potato Girl. Yes, I will be watching Part Two (we bought our tickets before Part One opened. And this is a fun group. I’d see any not so good movie with them). Despite this movie not being good, it did get me more interested in the source material, so that’s a win for it, right? We came, we saw, we laughed our way through a terri-bad movie.